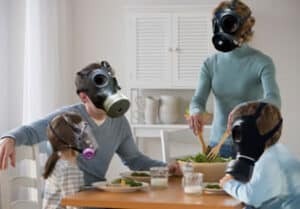 Volatile Organic Compounds, or VOCs, are a combination of chemicals that vaporize easily and deliver gas pollutants into the home from a variety of sources. There are over 400 compounds in the VOC class which has been identified in the home and of these 250 can be found in carpeting. VOCs are normally delivered into the air from synthetics and composite materials. The release of the pollutant usually happens during construction, finishing, and furnishing of a home because of the character of its host materials. VOCs can also be delivered by chemicals in aerosol sprays, paint, high-concentration cleaning chemicals, cooking ovens, air fresheners, office facilities, or tobacco smoke. There are no specified marks for VOCs since such a wide variety of mixtures are included by the term “VOC.” Sometimes even specific VOC health impacts are hard to describe because of the different possibility that various VOCs may mix with one another to form concentrations under those which are detectable, but these mixtures can sadly still negatively affect the homeowner. The only information which can be given for VOCs are quite general and apply mostly to high concentration levels. At a high intensity, VOCs can act as central nervous system depressants, irritants, drugs, and carcinogens with the possibility to significantly improve a person’s risk of acquiring cancer. VOC problems are widespread having been published widely across North America and in almost every advanced nation across the globe. 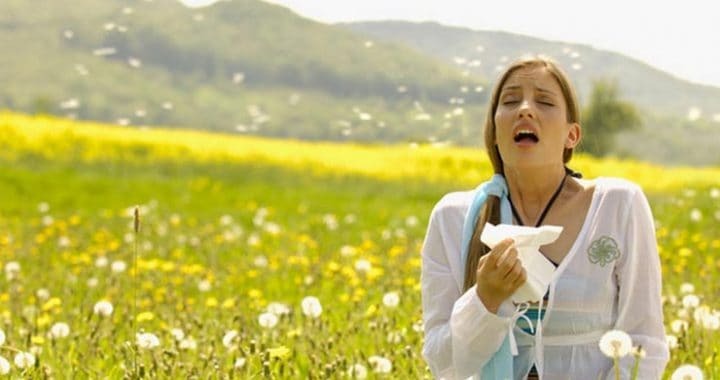 Typical symptoms from these reports include headaches, drowsiness, eye irritation, rashes, and respiratory and sinus problems. Exposure guidelines differ as to the type of product. Because there are over 400 different compounds, no effort has been made to publish exposure guidelines. 1) Throw out your carpets. OK, joke, but remember to try to use the least amount of carpeting possible. Try to avoid products with a latex lining, perhaps rather use wool or cotton rugs. 2) Instead of sticking carpet to your floor, use pin strips. 3) If painting something, check for “low VOC” on the label and use water-based paint and sealants. 4) Try to use solid timber for cupboards and counters, or when using composite wood tape the material with water-based/low toxicity sealant. 5) A steady mechanical ventilation system helps to exhaust indoor air and replace it with fresh outdoor air. Suggested ventilation rate is for one-third of the air in the home should be exchanged per hour. 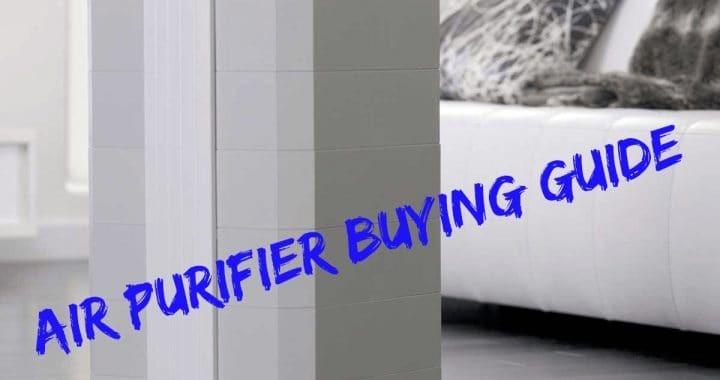 6) Use an air purifier. Read full buying guide or see our comparison charts to find the best unit for you. If there are still VOCs, there is another method to reduce emissions. Have you heard about a “bake-out?” This is a method when your home is heated to a high-temperature after any repairing and construction jobs. Temperatures are normally raised to approximately 100 F (38 C), then all windows are opened and the air-conditioning system is allowed to run at complete capacity, repeating the process for two or three days. In theory, the large temperatures cause the VOCs to immediately evaporate and then the pollutants are released outside. While some readings show that a “bake-out” can decrease VOC emissions by up to 75% quickly, others show that the bake-out causes discharge of other chemicals which might have lived hidden indefinitely. In these cases, VOC emission however drops, but the method can take over a week to approach an acceptable VOC concentration level. Opinions are still split over whether a bake-out is the safest course of action to take in decreasing VOC emissions. Posted in Allergens and Pollutants, Indoor Air Quality and tagged Air Purifier, chemicals, tobacco smoke, VOC, Volatile organic compund.